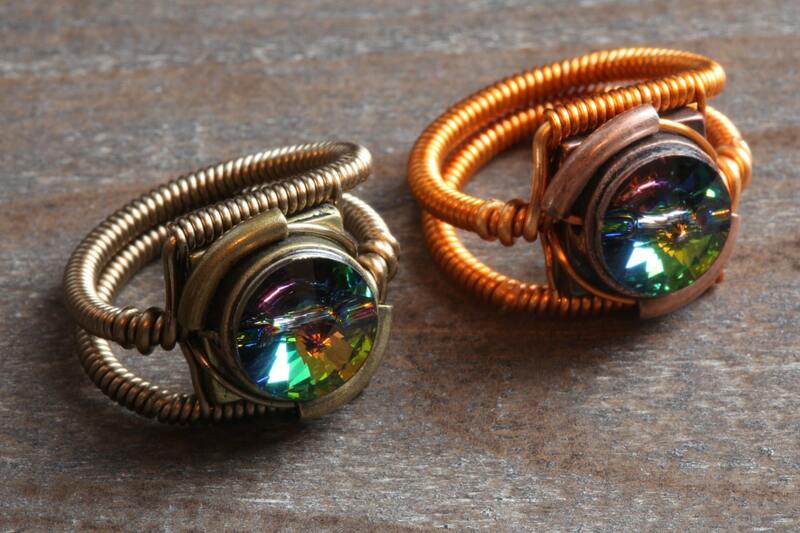 For sale 2 antique Steampunk rings with Vitrail swarovski crystals. These rings are available from size 4.5 to 13 US , including half size . If you need the rings in 2 different sizes. Please indicate the size you need in the note to seller during checkout. Please indicate which colors you would like each rings in the note to seller during checkout. If you have any more customization ideas, just contact me, i will be happy to make something special just for you.